When you bring home your new kitten and find that they have fleas, you need to get rid of them immediately. Let’s look at some of the best flea medicine kittens can use to safely get rid of the fleas. If your kitten is under 8 weeks of age they shouldn’t be treated with a topical flea medication or any chemicals at all. The topical flea medications can cause your kitten to become severely sick and could potentially kill your kitten. 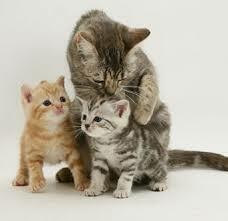 I have directions to safely remove fleas from your kitten that is under 8 weeks of age on my page Kitten Fleas. 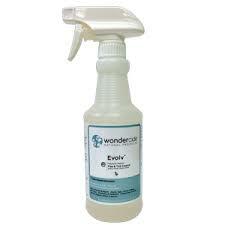 Wondercide is an all natural product that I’ve personally used on my kittens as a preventative measure against fleas. It truly works extremely well and is non toxic to anyone that comes in contact with it. It’s safe for kittens at any age, this does come in both lemongrass and cedar varieties. Cedar oil can be poisonous to cats but the cedar oil used by Wondercide doesn’t have phenols, or phenolic compounds. That is what is what makes many essential oils poisonous to our feline friends. You can read more about the ingredients of the cedar spray that Wondercide produces here. This is the definitely one of the best flea medicines kittens can use no matter how young they are. 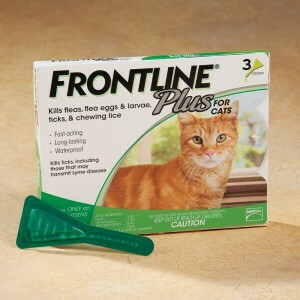 If your opting toward a monthly topical flea treatment for your kitten you may want to consider frontline. This is put on your kitten once a month between their shoulder blades at the base of their neck. Just make sure that its not in a spot that they can lick, kittens are very flexible. You want to rub the flea treatment right into their skin, it will leave a greasy spot for a couple of days but it does start working immediately to kill adult fleas and their eggs. There is a new product out called Bayer Soresto, this product claims to work just like the topical flea medications but with the use of a collar that offers sustained release technology. This means that over an 8 month period the collar releases the flea killing ingredients into the collar and your pet absorbs the flea medication through their skin. It claims to be as effective as topical treatments but works for 8 months instead of only 1 and it doesn’t leave the greasy residue that topical treatments do. I’ve never used this but I can see the attraction to the ease of use for such a long period of time. This product does have very mixed reviews though so if you do decide to try this I’d recommend keeping a close eye on your kittens health for the first month. Many people who have used this product are beyond happy with the results of the fleas dying and ticks staying off their kittens and cats. However other people are complaining of their kittens and cats becoming lethargic and very ill from the collars as well as the collar leaving red soars around the neckline due to a severe reaction. Along with using a flea medicine on your kitten, remember that it’s important to treat their living environment as well. If you don’t kill the fleas inside and kill the fleas outside where your kitten plays and sleeps, then your flea problem can get much worse very quickly. 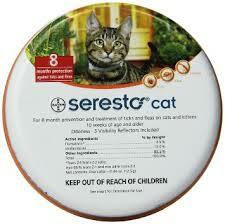 The products that I’ve suggested above have been used on my own kittens and cats, except for the Bayer Soresto collar. I can personally say that the Wondercide and the Frontline have never caused my feline friends to become ill or hurt at all. I’ve had great success with them and recommend them to my friends and family as well. If you’ve tried any of the products please leave a comment below and share your experience with the products. Especially the Bayer Soresto being that I have no personal experience with this product and it does have mixed reviews.